Posted Thursday, January 31st, 2013 by Steve Leigh. As SmartPlanet’s Rose Eveleth previously reported, Emma Lavelle was born with arthrogryposis multiplex congenita (AMC), a genetic condition that causes joints and muscles to stiffen and eventually be rendered useless. Posted Monday, January 28th, 2013 by Greg Gladman. Formlabs shattered its $100,000 goal on Kickstarter, and raised $2,945,885 — making the Form 1 3D printer the highest-funded tech campaign in Kickstarter history. The Form 1 can be pre-ordered at the discounted price of $3,299 through its website. Your products will be delivered in May; all pre-orders for April delivery are already sold out. 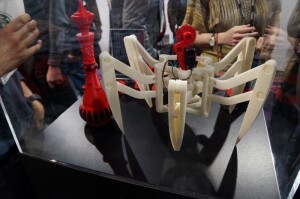 Most 3D printers cost tens of thousands of dollars, so $3,299 is extremely low-cost, to put that price in perspective. Posted Sunday, January 20th, 2013 by Robyn Warner. Posted Thursday, January 17th, 2013 by Steve Leigh. 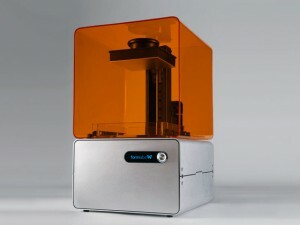 “If you are a MacGyver, a Doc Brown or have a little mad scientist in you, and want to experiment with one of the fullest-featured desktop 3D printers and see where it can take you, the MakerBot Replicator 2X Experimental Desktop 3D Printer is for you,” said Makerbot co-founder and CEO Bre Pettis. 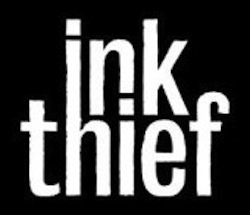 Ink Tech Rewards are HERE! Posted Wednesday, January 9th, 2013 by Robyn Warner. Posted Tuesday, January 8th, 2013 by Greg Gladman. One good turn deserves another, so we’re re-blogging part of Forbes’ Jessica Bosari’s article mentioning our ink and toner recycling efforts! Rein in Your Printing Expenses Printer cartridges are expensive and environmentally-unfriendly. In fact, Xerox asserts that from 1991-2008 the company recycled 2 billion pounds of spent toner cartridges. Whether you use an old-fashioned ink jet or a fancy new laser printer, you’re probably not happy with your current printing costs. Fortunately, most cartridge manufacturers and retailers participate in cartridge recycling programs. These serve dual purposes: They can reduce your ink or toner costs and may keep millions of non-biodegradable cartridges out of the country’s landfills each year. There are a few different ways to recycle your ink toner for great results. Major office supply stores like Staples and Office Depot offer in-store rebates of $2 to $3 per used cartridge. Dedicated cartridge wholesalers offer even more robust programs that permit business owners to exchange their unusable cartridges for an equal number of freshly-recycled devices. Posted Saturday, January 5th, 2013 by Ink Technologies. 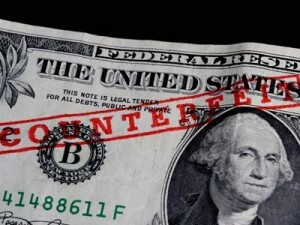 A few counterfeit artists still engrave metal plates and search for soft paper that approximates the government’s proprietary blend. Others soak money in a chemical soup, rubbing off ink to create $100 bills out of fives. But in more than two-thirds of all cases, criminals manipulate scanners, printers and toner ink to create money where once there was none.